Talking about his relationship, he got married to Cameron Diaz in 2015. They are living a happy life together with no any marital affairs. 1 Who is Benji Madden? Benji is an American guitarist, vocalist, songwriter, and producer, his birth name is Benjamin Levi Combs. Besides that, he is well known as Benjamin Levi Benji Madden. 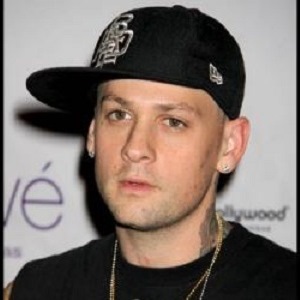 Whereas, he is also the lead guitarist and backing vocalist for the band Good Charlotte, as well as pop rock collaboration The Madden Brothers. Benji was born in La Plata, Maryland, the United States on March 11, 1979, to parents Roger Combs and Robin Madden. He has a sibling namely, Joel Madden. He belongs to American nationality and mix (English- Scottish- German- Irish) ethnicity. His birth sign is Pisces. Talking about his education, he attended La Plata High School. Talking about his profession his band released their debut album titled ‘Good Charlotte’ in September 2000. Besides that, he and his brothers were co-producers and writers for their band. Additionally, as they made a name for themselves they started working with other artists like Hilary Duff, Kalin and Myles. They wrote the hit song ‘Amnesia’ for the group ‘5 Seconds of Summer’ and performed as a backup vocalist for various other artists. During 2011, the three brothers jointly produced a mixed-tape titled ‘The Madden Brothers: Before Volume 1’ that became popular. In addition, he also appeared as a guest player with the band ‘Taintstick’ and a judge on the TV show ‘The Voice Australia’ in 2012. Therefore, he also performed for the number ‘Come Back Down’ by the electronic music artist ‘TJR’. There is n0 information about his salary. His net worth is around $ 16 million. On talking about his body measurements, Benji has a height of 5 feet 7 inches. Additionally, he weighs is 75Kg. Furthermore, his chest, waist, and biceps sizes are 44-35-15 inches respectively. Benji’s hair color is brown and his eye color is brown. He has 2.2K followers on Facebook. Similarly, he has 536K followers on Twitter. Likewise, he has 392K followers on Instagram. Too soon, too good? Celebrities with whirlwind engagements within half a year of their dating!